The script places one stop loss for all orders on the chart. It is useful when using a grid of orders in the same direction with the same stop loss. 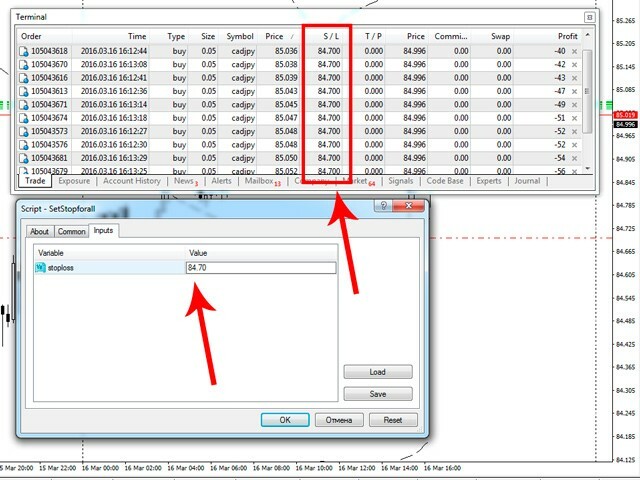 It reduces the time of modification of each stop loss to 2 clicks - drag and drop the script to the chart and specify the price, where the stop loss for all orders should be set. Very usefull script just that i was looking for work so good!